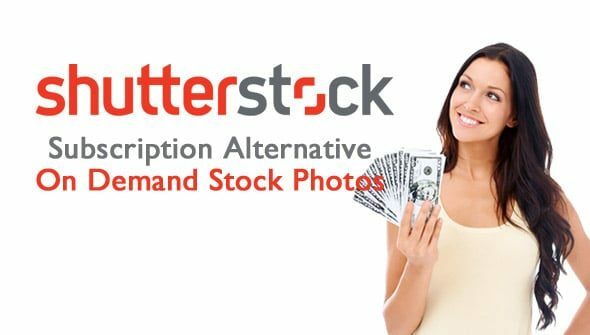 Shutterstock is known in the stock photo industry as offering only one payment option, subscription options that are best for large businesses or designers who need stock photos and stock illustrations monthly. This payment option has left small businesses and individuals out of the picture until today, with the introduction of On Demand subscriptions that are valid for one year, not just one month. Shutterstock recognizes that not all businesses have a large budget for stock photos nor do they need 750 stock photos per month. 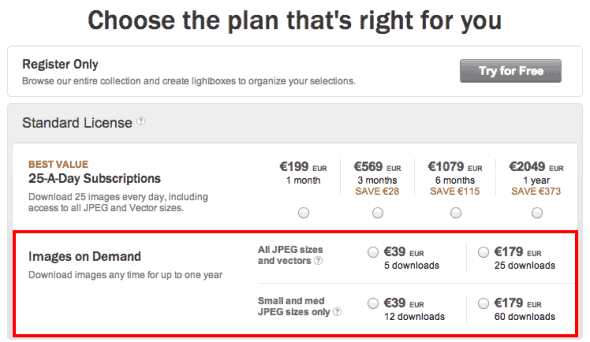 The On Demand subscriptions are fundamentally different from regular Shutterstock subscriptions. On Demand Subscriptions are valid for one year with the subscription owner able to download their maximum image or photo limit for 365 days. If you use your limit before the year is up, you can just order another one! This is a great solution for indivuals and small businesses who do not know how many photos they may need or do not have a lofty budget to invest into stock photos. The On Demand subscription still saves you money per photo and makes stock photo prices a reasonable investment for your digital or commercial marketing. On Demand Subscription Prices – Check this out! Love it, want it and we appreciate the flexibility that Shutterstock (Read our Shutterstock Review here) is providing to individuals and small businesses! Check out Shutterstock's library of images and sign up for a free membership where you don't have to commit to a subscription today but are ready to go when you can commit.